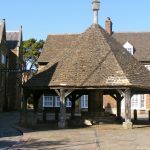 A buttercross is a type of market cross, which one typically associates with English market towns. In Oakham, it used to be a hub, where people both from Oakham and the surrounding villages used to gather, selling their goods and produce. It is an octagonal structure with a pyramidal roof and stocks. Most likely built in the mid to late 17th century, the Oakham Buttercross has been designated a Grade I listed building. Alongside the horseshoe, the buttercross has become a symbol of Oakham and Rutland. It is the photo of choice on many of our local postcards. 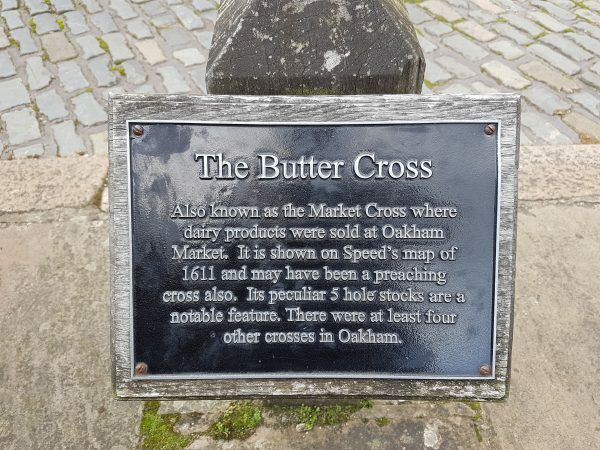 The Oakham Buttercross is located just behind the town’s market place, where you can buy fresh produce and various other goods every Wednesday and Saturday. Surrounding the Buttercross is Oakham School. 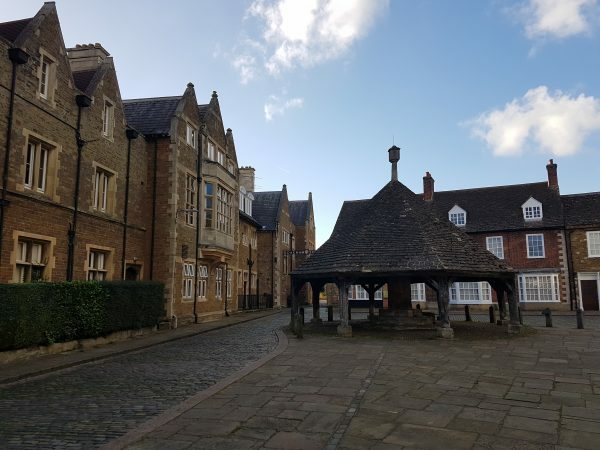 Furthermore, the Buttercross is a short walk from other landmarks, including All Saints Church, Oakham Castle and Cutts Close Park.